Safe for mw/dw; tested for lead. I'm the author/artist and I want to review Mr. and Mrs. 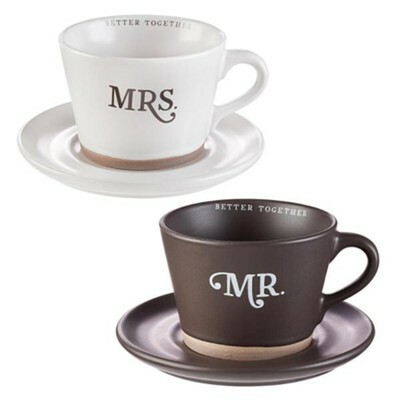 Mug and Saucer Set, 2 Mugs and Saucers.